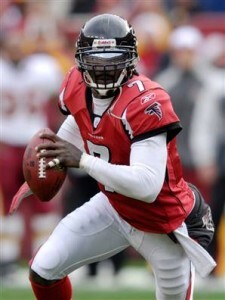 Should the Bucs be Interested in Michael Vick? Now that it’s confirmed that Antonio Bryant will be out for the whole preseason and with little depth at wide receiver, Should the Tampa Bay Buccaneers look at Michael Vick as a wide receiver? It has already been predicted by Vick’s mentor Tony Dungy that he will soon be signed by a team. Will the Bucs be one of the teams interested? We should grab Vick asap.